Enjoy affordable year round waterfront living with 178′ of landscaped Oneida River frontage in this remodeled 2071 sf, four bedroom, two full bath colonial home. 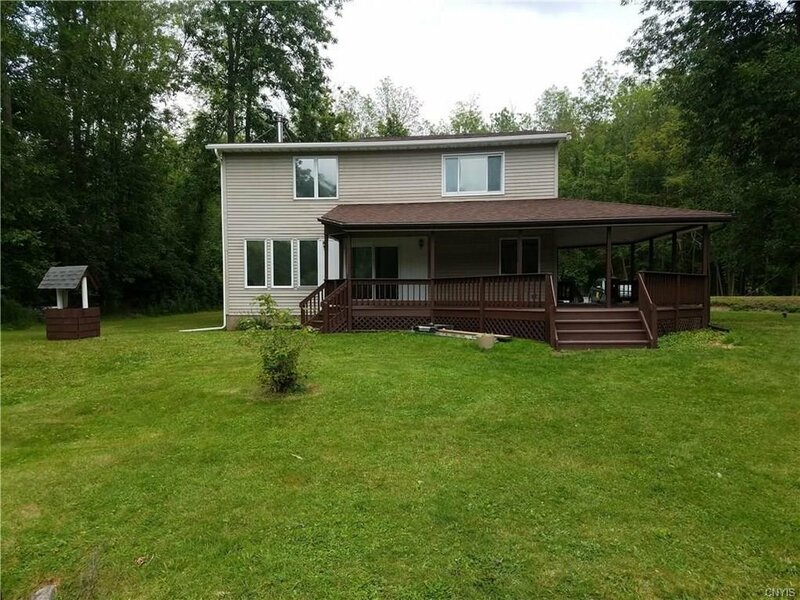 Priced a full $26,000 below assessed value!. 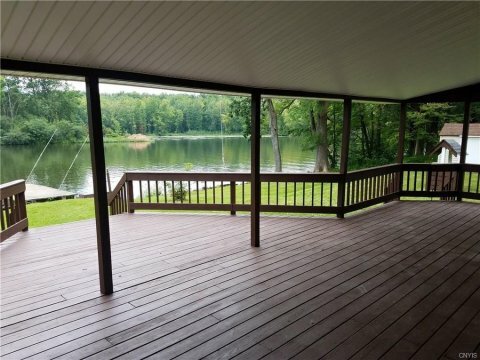 State land across the river and no neighbors close by on all sides provides private enjoyment from your expansive covered porch or concrete dock. Relax indoors with great river views from the large front living room and two river-facing and ample-sized bedrooms. Home has been extensively remodeled with new furnace and A/C, flooring, baths, kitchen counter and sink, many new windows and newly roofed rear of the home. 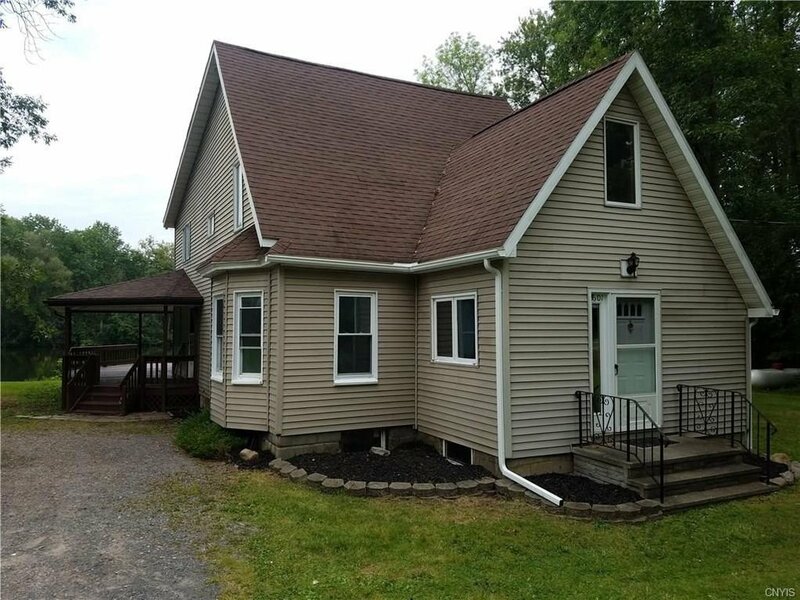 Less than 5 minutes drive from corner of Routes 31 and 57 and plentiful shopping. Near Three Rivers Park. Agent is owner.